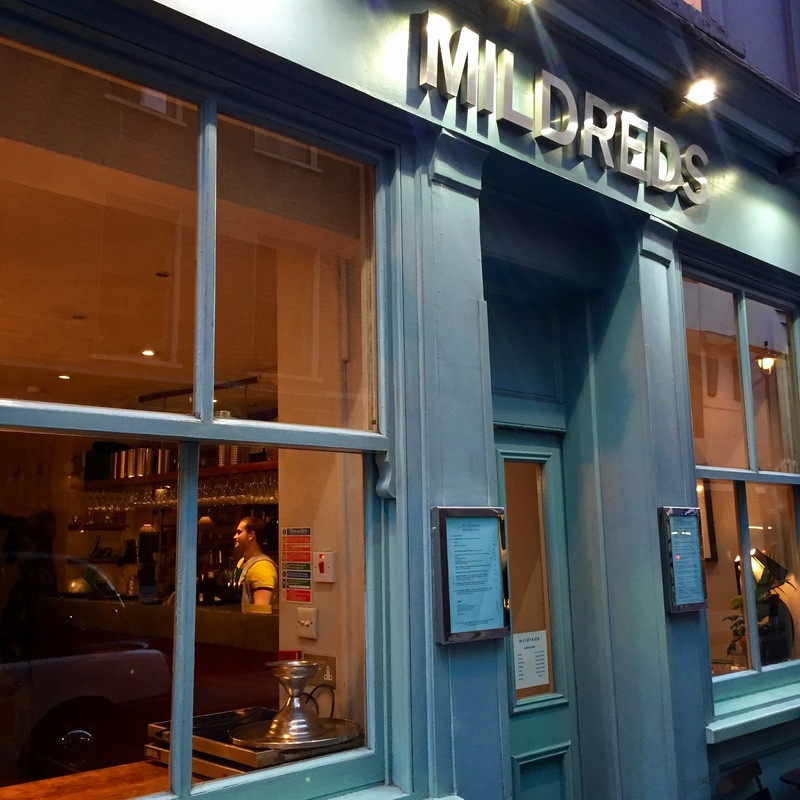 Tonight we visited Mildred's restaurant in Soho for our date night! I had seen some really good reviews for this vegetarian and vegan restaurant on Trip Advisor and I am pleased to say the reality lived up to the reviews. You can't book a table here but we were lucky to be early enough to secure our spot for the evening. The menu was amazing and we really struggled to choose what we wanted. 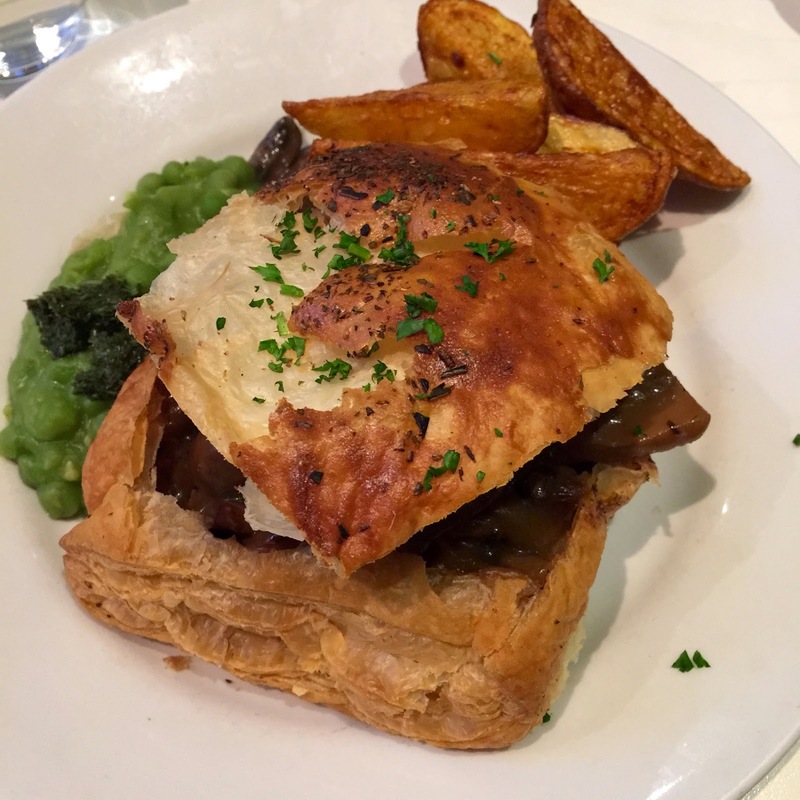 In the end I went for the vegan mushroom and ale pie with hand cut chips and mushy peas. 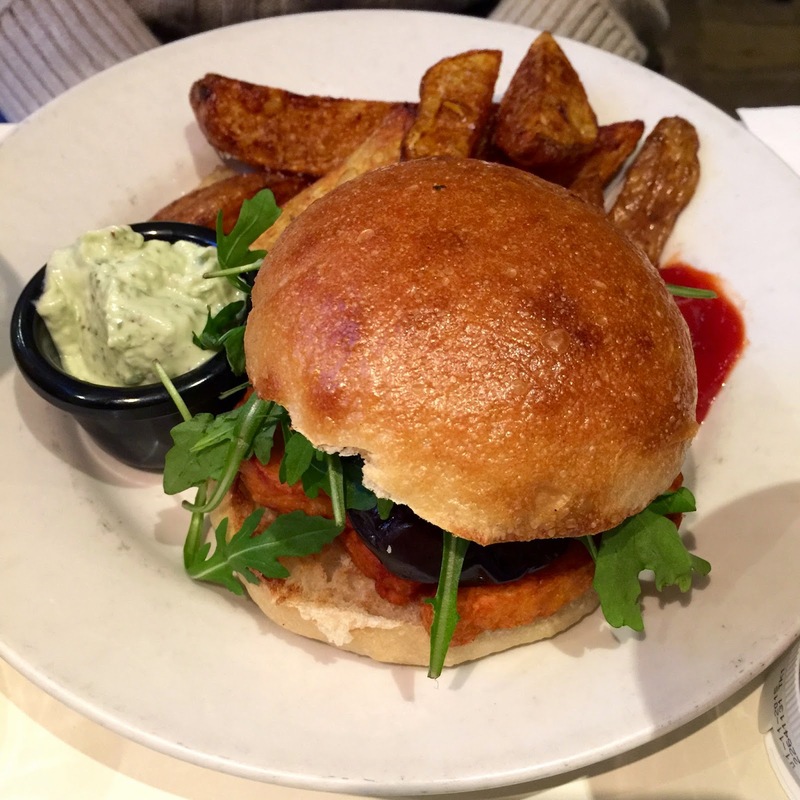 My husband chose the halloumi burger. Both were insanely good! 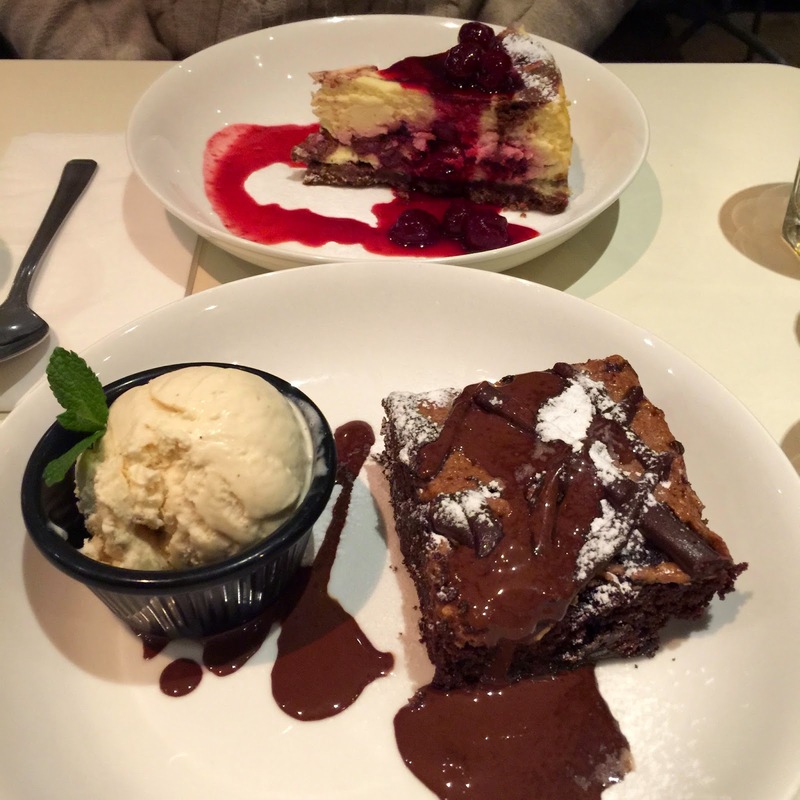 I had the vegan & gluten free chocolate peanut butter brownie - who knew special dietary requirements could taste this good!!! My husband picked the vegetarian black cherry and chocolate cheesecake. If you haven't been here yet you must! Anyone would love it, even if you aren't vegetarian or vegan. The food is to die for. In fact this would be the perfect place to take anyone you are trying to convert to a plant based diet! They wouldn't need anymore convincing after this.